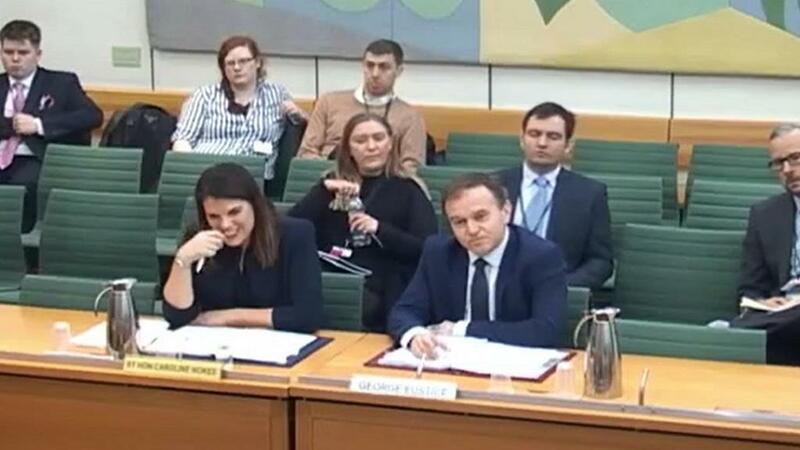 Defra Secretary Michael Gove has backed a Home Office Minister who was caught laughing while being quizzed by MPs on the possible re-introduction of a Seasonal Agricultural Workers’ Scheme (SAWS). Last month, Immigration Minister Caroline Nokes infuriated MPs on the Environment, Food and Rural Affairs Select Committee with her evasive answers to questions about the agricultural labour shortage. Committee chair Neil Parish accused Ms Nokes of ‘fiddling while Rome burns’ as she said she would wait for a report from the Migration Advisory Committee (MAC), due this September, to be published before making any decisions about a future scheme. Asked by Farmers Guardian whether it was appropriate behaviour for a Minister to laugh off such serious concerns, Mr Gove said: “I did not see this. “I am a great fan of Caroline’s, I think she is a great Minister and I cannot imagine she was doing anything other than responding to the committee appropriately.